Enlightened business self-interest – pursuing growth, new markets and building new infrastructure - could transform progress in delivering the Sustainable Development Goals (SDGs) but only if businesses make the connection between goals according to an international business report by PwC. Make it your business: Engaging with the Sustainable Development Goals is released before the SDGs are due to be ratified this weekend by the UN. The voluntary code that international governments support covers 17 goals and 169 targets, including achieving gender equality, ending poverty, sustainable use of natural resources and access to energy. 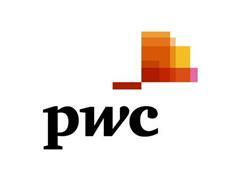 PwC surveyed almost 1000 business executives and over 2000 people, to assess their awareness and action on the goals. It showed awareness of SDGs was much higher amongst the business community surveyed (92%) compared to the general population (33%). However the survey reveals marked differences between the public’s views of what is important, and businesses’ view. Overall, half of citizens expect business to embed the SDGs into their strategy and the way they do business. However only three in 10 business respondents say they are currently doing so – although this is expected to rise to just over four in 10 in five years. Just over half (52%) of business respondents are identifying which SDGs are relevant to their business and 34% to the specific projects they plan to contribute. But the report warns against “cherry picking” of positive or easier goals to address, warning of the threat to business if there is not a fully rounded understanding of how they are linked. For example, SDG targets around protecting life below water came low down the list for business focus and opportunity. Yet issues with rising water levels and acidity link to climate change, infrastructure and health issues are seen as priorities. 71% of almost 1000 senior business executives surveyed said they are already making plans on how to respond to the goals and targets across a range of human, environmental, economic, and health issues. Business respondents ranked Decent work and economic growth both as the top SDG they are having an impact on, and as their greatest business opportunity. Business respondents believe their greatest opportunity for impact in the future will be with tackling SDGs for: Decent work and economic growth; Industry, innovation and infrastructure; Affordable and clean energy; Responsible consumption and production; and Climate action. By contrast, in the international public survey citizens rank the most important issues to be addressed as Goals for Zero hunger, Climate action, Quality education, No poverty and Clean water and sanitation. Tackling inequality, poverty, and protecting life below water came bottom of the list for areas businesses felt they were having an impact on, or had an opportunity to do something about in the future. The survey reveals distinct gaps in how business is planning to go about the goals, with only 13% having identified the tools they need, and just 29% setting their own business goals linked to the SDGs. “There are compelling reasons to support the SDGs and businesses have great ambitions to do so. While some may be concerned that businesses are largely prioritising their efforts on the areas in which they make money, it does mean that their investment and planning weight can be thrown behind identifying growth potential of responsible environmental and societal practices. “The 17 goals are relevant for every global company. These issues don’t discriminate between mature and emerging economies. Businesses need to be honest with themselves and also understand where they have negative impacts, either in their own operations or in their supply chain. It is just as important to reduce or eliminate the negatives as it is to drive the positives. The survey was conducted between June – August 2015, with 986 business respondent from 90 countries, and 2015 members of the public across 37 countries. Business respondents were surveyed through the UN Global Compact, The World Business Council for Sustainable Development, and the Global Reporting Initiative –voluntary member organisations who guide businesses on meeting the development goal requirements. Both business and citizens identified governments as having prime responsibility to achieve the SDGs (49% and 44% respectively). Business believes it has the greatest impact on the following SDGs: Decent work and economic growth; Climate action; Industry, innovation and infrastructure; Quality education and Good health and well-being. ​d. 22% are waiting for the SDGs to be launched or direction from government.